Nuxe do Christmas like no other! With a selection of super luxe skincare sets, Nuxe Gift Sets will make the perfect gift for anyone on your list, yourself included. 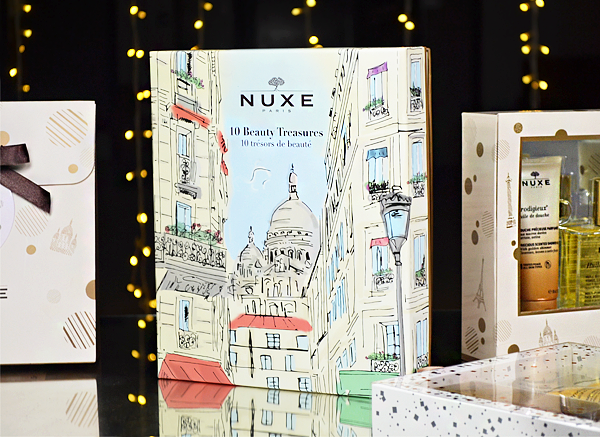 Every year I hope for something Nuxe under the tree, and this year that’s no different, because their gift set line-up is better than ever! Whether you’re shopping for yourself, your best friend or your boyfriend, a skincare set can make an ideal stocking filler or main pampering present, because who doesn’t want healthy, happy skin? Nuxe are making Christmas shopping extremely easy this year. So, without further ado let’s tick a few people off your shopping list, shall we? The Nuxe Best Seller Set is the skincare set that I’m hoping for under the Christmas tree this year! Bursting with customer (and my personal) favourites, the Nuxe Best Seller will completely revamp any skincare stash. With the super luxe Huile Prodigieuse Or Golden Dry Oil, Prodigieux Precious Scented Shower Oil and cult favourite Rêve de Miel Honey Lip Balm hidden inside, this skincare assortment will leave skin completely revitalised, just in time for the new year. Thought you missed out on a beauty advent calendar this year? Think again! 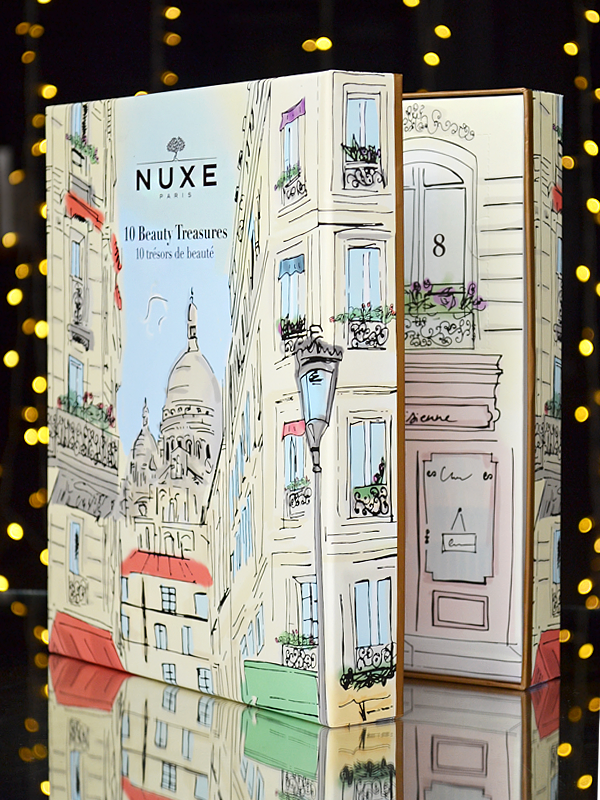 With the Nuxe 10 Beauty Treasures Countdown you can join in with the fun of beauty advents, even if you missed December 1st. Packed with 10 luxurious skincare treats, this jam-packed gift set is ideal for someone that’s into their skincare or just someone you’s like to treat. With everything from moisturisers and dry oils to exfoliating gels and shower oils, this selection of cult-favourite products is one of my all-time favourites Nuxe sets! OK you caught me, this isn’t all skincare, but the Nuxe Prodigieux Le Parfum Gift Set will definitely make your skin smell divine. The star of this set is definitely the Prodigieux Le Parfum, a warm floral fragrance inspired by the iconic Huile Prodigieuse Oil. Perfect for someone looking for a new signature, this fragrance gift set won’t break the bank, but promises to leave skin smelling ultra luxurious. Alongside the 30ml Parfum you also get a body lotion and shower oil, which can be used to prep the skin and make the fragrance last even longer. Every year I like to buy a gift, wrap it up and keep it under the tree. I call it the ‘surprise visit gift’ or the ‘I thought we weren’t doing presents’ present. 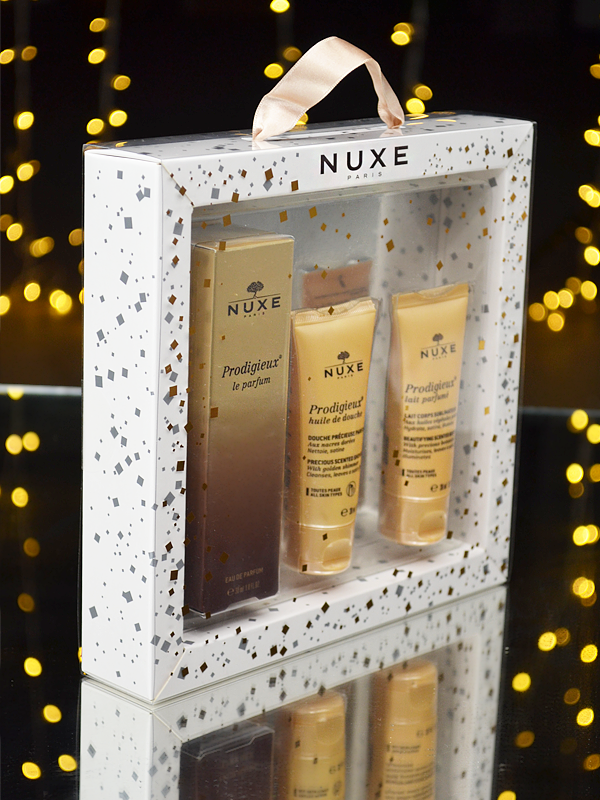 I hate being unprepared, or receiving a gift and not having one to give back, so this year the Nuxe Prodigieuse Gift Set will be my lifeline. It’s a pampering gift that anyone would enjoy, all the way from my mum’s best friend, to my neighbour’s daughter. With an indulgent shower oil, rich moisturising cream, a multi-tasking Huile Prodigieuse and hypnotising Prodigieuse Candle, this gift set has everything covered. If you know a man that doesn’t know a cleanser from an exfoliator, then a skincare gift set is the perfect skincare introduction. The Nuxe Men Gift Set is simple, straight forward but effective, and has everything he’ll need to start his skincare journey with bang. 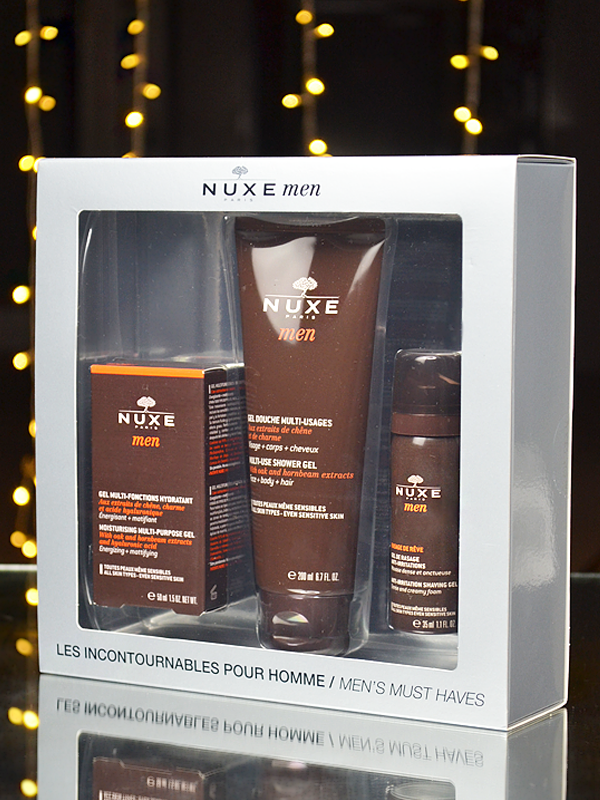 An ideal present for a man that likes to stay well-groomed, the Nuxe Men Gift Set will keep his skin healthy and hydrated, and it will also stop him from stealing yours! 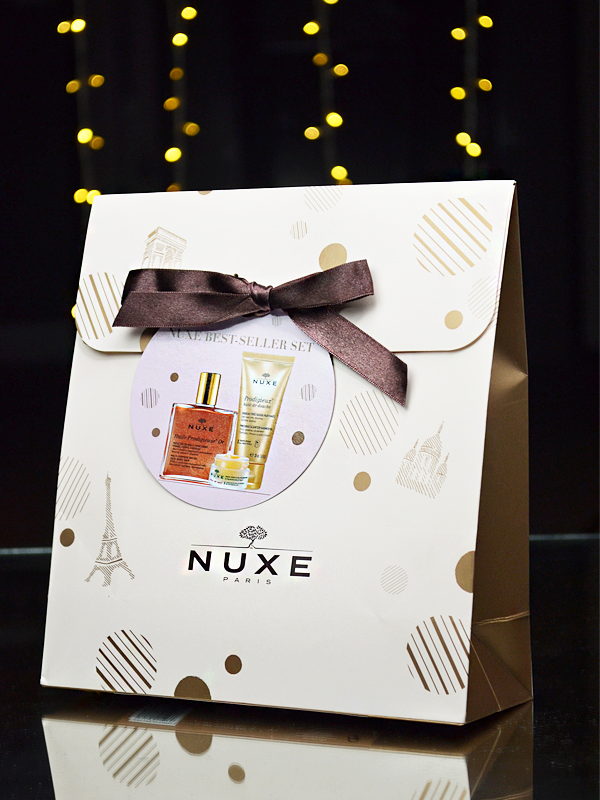 Which Nuxe gift set would you like to see under the tree this Christmas? Tweet us or comment below! This entry was posted on Tuesday, December 13th, 2016 at 6:00 pm and is filed under Christmas, Christmas Gifts, New products, Skincare, Skincare Edit, Spotlight On. You can follow any responses to this entry through the RSS 2.0 feed. You can skip to the end and leave a response. Pinging is currently not allowed.